The Graduate Residency in Youth Ministry is unique to the Center for Youth Ministry Training. CYMT creates a whole-person learning environment by nurturing residents academically in the classroom, vocationally in the local church, and emotionally through personal coaching and peer interaction. The Training Church Program allows churches to have their youth minister participate in the same curriculum to gain theological training and practical coaching. 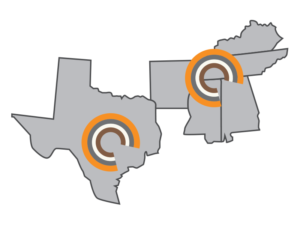 CYMT partners with churches from multiple denominations within a four-hour radius of Memphis, TN and Austin, TX. In addition to training and coaching the church’s youth minister, CYMT equips training churches with the tools necessary to develop sustainable youth ministries and walks alongside them over the 3-year program. Training churches pay tuition for their youth minister to receive these benefits. Must complete initial interview process, create a youth ministry team or youth council, allow training church resident to particpate in all CYMT classes and retreats, and develop or submit a church-adopted child protection policy. Complete online Partner Church application. The church is required to have a child protection policy in place. If you have a policy in place, please mail or email it for CYMT’s files. The application fee is $350. You may submit your application fee online or mail it in.